The life of Jean-Dominique Bauby is at once tragic and inspirational and in the very capable hands of director Julian Schnabel, with “The Diving Bell and The Butterfly”, his story comes to the screen in a most moving and artful way. We learn through early dialogue and flashback that Bauby has suffered a major stroke and that coming out of a coma he awakens in a state referred to as locked in syndrome. 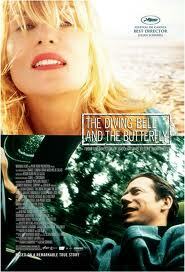 Actor Mathieu Amalric (Munich) plays Bauby, editor of Elle magazine and a major player in 1990s Paris social circles. After his stroke, Bauby becomes all but incapable of communication, as he is unable to speak or move, with the exception of his left eyelid. 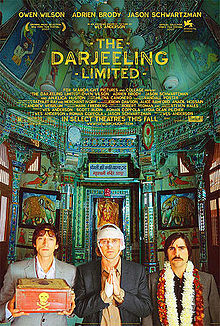 About halfway into Wes Anderson’s latest film, there’s a horrible accident involving three Indian children crossing a river on a makeshift raft. Ostensibly they are brothers. To make their way across, they must work together. But the raft capsizes, and they plunge into the water. Another three brothers, American and quite a bit older in years – Francis (Owen Wilson), Peter (Adrian Brody), and Jack Whitman (Jason Schwartzman) – happen to be walking along the river when the accident occurs. All three dive in to save the children but only manage to save two. Mortified, Peter stammers, “I couldn’t save mine.” This is not the only death affecting the Whitman brothers. One year earlier, they lost their father in a car accident. He was, apparently, the glue that held the family together. 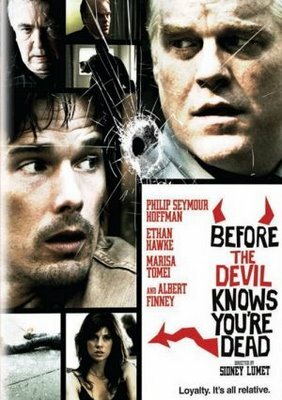 Master filmmaker Sidney Lumet latest effort, “Before the Devil Knows Your Dead”, is the tautest melodrama I’ve seen in quite some time and at 83, Lumet has lost none of his edge. While I didn’t necessarily find this new picture, which stars Philip Seymour Hoffman, Ethan Hawke, Albert Finney, Marisa Tomei, and Rosemary Harris, to be on the par with, “Dog Day Afternoon” or “The Verdict” — both among my all-time favorite films — it certainly kept me in its grip from the moment go. The difference between this one and the other two is that this film is story driven while the others are character oriented. The story is as close to Greek or Shakespearean tragedy as one can get and at times the characters seem to be little more than vehicles propelling the story lines forward. But what story lines there are!